Now we're talkin'! The perfect "crank it up loud and watch by firelight" film for New Year's Eve. Dylan's tremendous (and I was so completely thrilled to see him receive a Nobel for [song]writing), but between you and me—Springsteen's as fine a writer, if not finer. Less mystical, I admit, but so singularly capable of placing you in his scene, be it strapped to a wailing guitar, behind a pounding piano, or inhaling smoke and sweat just inside the door at some boardwalk bar that's rockin' and hoppin' or buckin' like a bronc in the rodeo. 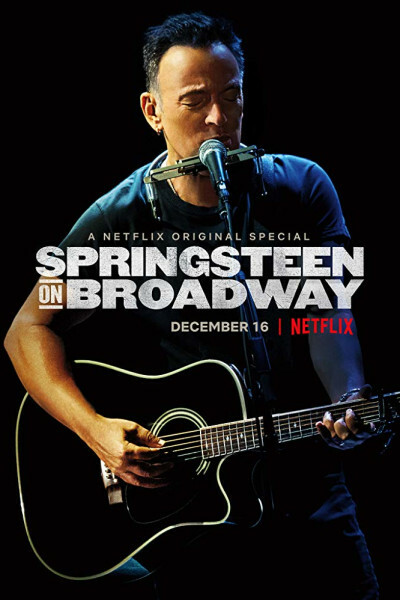 Watch Springsteen on Broadway and see for yourself. You'll thank me in the morning.